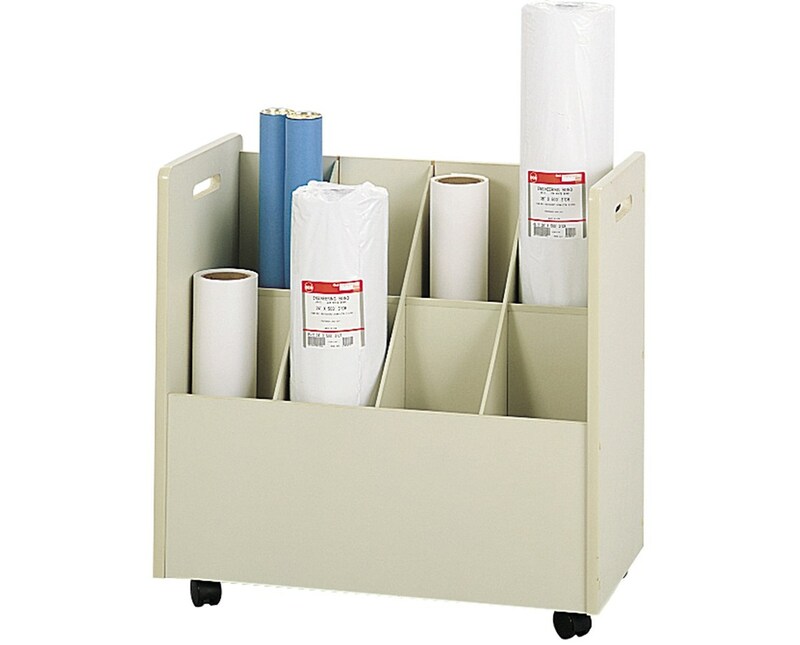 The Safco Mobile Roll File is an organizer that is great for storing blueprint, maps, plan drawings, and any other large documents. It features 3.75-inch compartments that are positioned in a grandstand design. 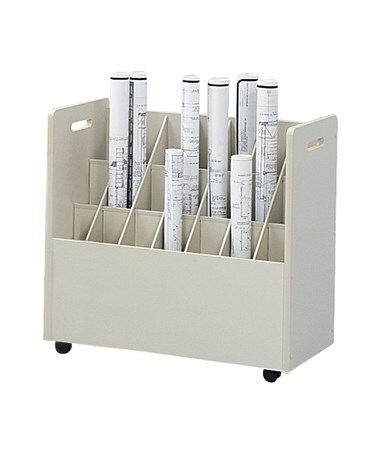 It can fit seven, 3.75, or 2.75-inch diameter roll files and can hold up to 50 pounds of evenly distributed weight. Maneuverability is done smoothly and easily with the two-inch carpet casters and the handles on each side panels. 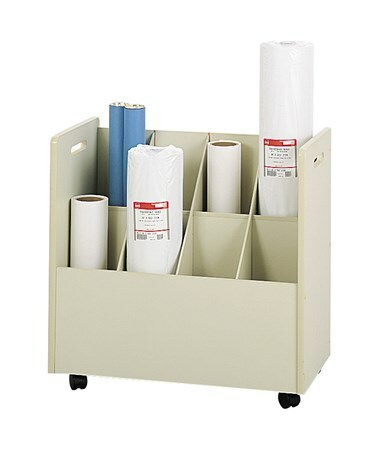 This roll file is made of furniture-grade particleboard with a textured vinyl laminate finish. 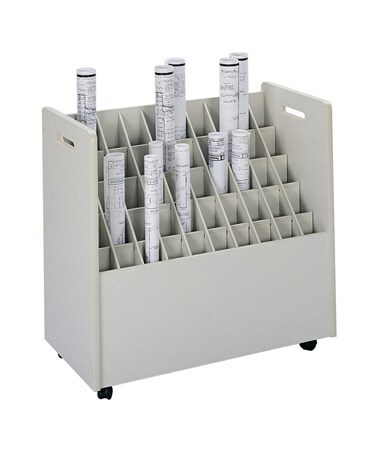 The Safco Mobile Roll File is available in three different numbers of compartments. Please select your preference from the drop-down menu above.